It's time to color! 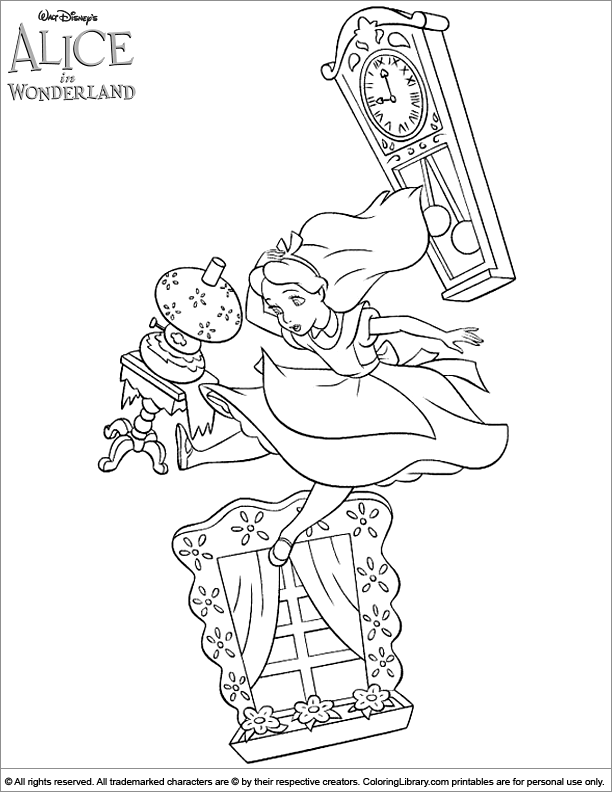 Grab your colored pencils and get creative with this Alice in Wonderland free coloring picture. Will you hang your drawing on the fridge? Find out and start coloring. Alice in Wonderland Coloring pictures are not only fun, but can help to develop your childs motor skills and a sense of color.